La Prarie is a brand I trust and treasure each drop of the product I use. La Prairie White Caviar Collection is all about exceptional brightening and firming benefits are enhanced with golden caviar extract for a softly-lit luminosity. Uneven tone appears to fade away, leaving skin with an illuminated youthfulness. The key benefits include – helps brighten skin and minimize the appearance of discoloration, helps maintain an even skin tone, and helps increase firmness. 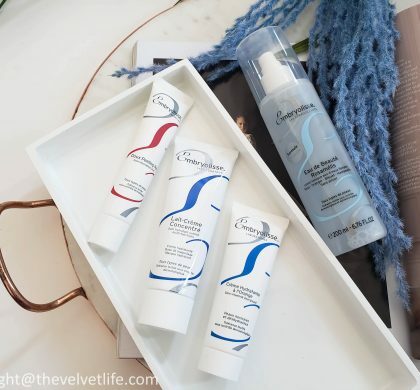 I was part of the launch event of the new addition the White Caviar Collection called the White Caviar Creme Extraordinaire a few weeks back and it was such great experience to know the science and research behind the product. There was a detailed view of the lab, scientists, and the ingredients used. 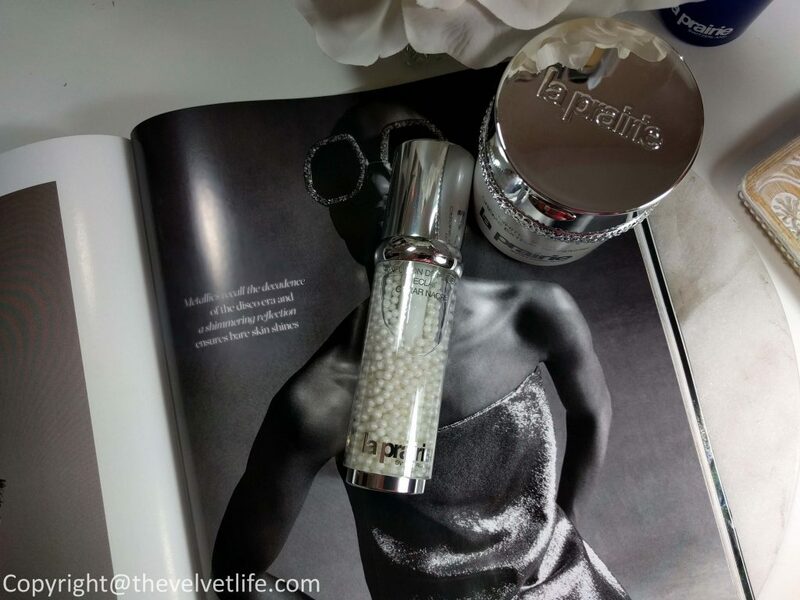 Since then, I have been using the La Prairie White Caviar Illuminating Pearl Infusion and the newly launched La Prairie White Caviar Creme Extraordinaire. 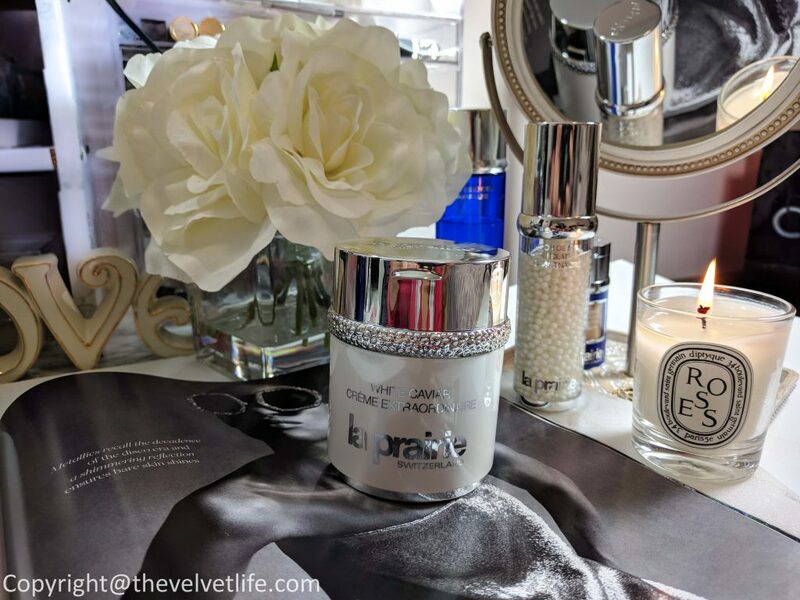 I will first start with the new addition to the family, La Prairie White Caviar Creme Extraordinaire. 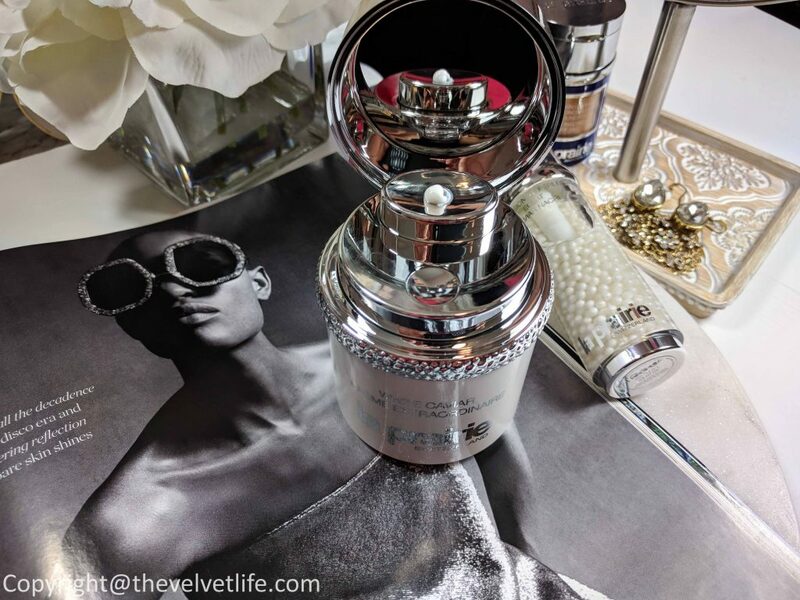 La Prairie White Caviar Creme Extraordinaire is described as a lavish moisturizing cream that offers new levels of luminosity and evenness. The single most powerful illuminating molecule, as explained by the La Prairie team, is infused in a cream that works to banish dark spots and other skin discolorations. It is inspired by the idea of spotless, luminous skin. It works to illuminate the skin as if by flattering light, with results that are measurable in two weeks, visible in four weeks, and extraordinary in eight weeks. Following years of research that included 50,000 ingredients to find the single most powerful brightening active, Lumidose was identified by the scientists at La Prairie. This patented molecule is said to be most effective in supporting the inhibition of melanin, the pigment that causes dark spots. The formula’s optimized concentration of Lumidose helps it to reach the source of discoloration. Lumidose is paired with La Prairie’s Smart Crystal White, a delivery system for a powerful brightening active that works to interrupt the signaling pathways of melanin production. It is formulated with rare Golden Caviar extract found only in White Caviar Collection, which provides firming benefits. La Prairie’s exclusive cellular complex helps give new life and energy back to the very cells. About the packaging, the power of light contained in White Caviar Creme Extraordinaire is hinted at from the moment it emerges from its silver box. The clean lines of the pearlescent, cylindrical vessel are punctuated by a brilliant, sculpted ring that evokes the collection’s namesake caviar beads. The high polish silver cap opens like a jewel box to reveal an integrated, light-reflecting mirror. With the press of the sleek inverted button, an innovative airless pump is activated, releasing the perfect dose of pristine white cream. From the packaging to the formula, I am really impressed with this cream. I have combination skin which is prone to congestion, which means after every spot or blemish or the congested area heals, I have to deal with the discoloration. And over that discoloration, being medium tan skin tone, it takes me a lot more time to get that discoloration fade away. This all sometimes goes on for few months and then once I see my all clear face, then again few congested spots start that routine again where I have to use my few makeup techniques and products to hide those spots. I do get hormonal acne as well as acne due to external factors as stress, climate. To save me from all these routine and experience of having dull, blemish prone, skin with spots, I have been trying many products. 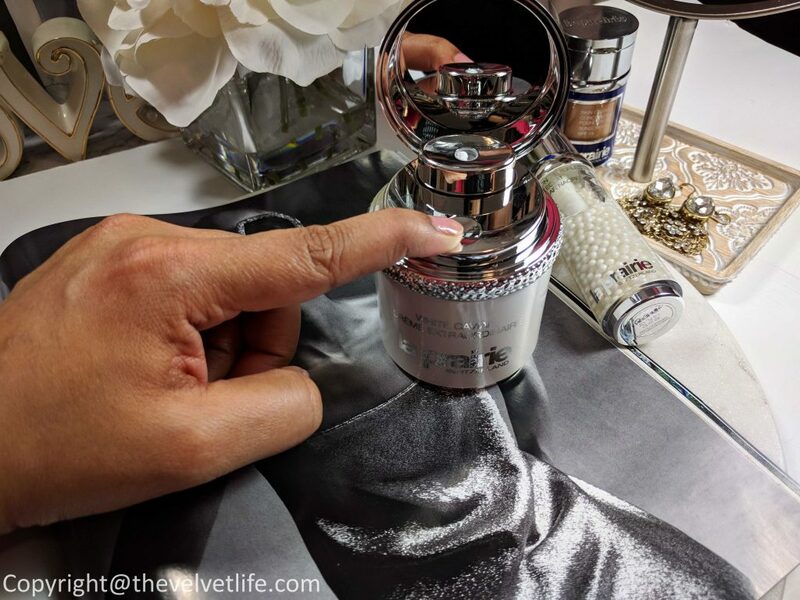 White Caviar Creme Extraordinaire has come as a savior at this time, I have used it for over two weeks, I have already been noticing my skin is bright, the appearance of dark spots is blurred, my skin looks bright and luminous. I have experienced no irritation or any new congestions on the skin. There is no residue or oiliness after applying this cream, it sinks in pretty well into the skin. I have been indulging into this White Caviar Creme Extraordinaire day and night, it has become that luxurious ritual that I look forward to when I wake up and when I reach home from work in the evening. I do not experience any issues with my makeup over it and everything sits on pretty well over it. There is a subtle scent in this cream which fades away pretty quickly but overall it makes a really pleasant, exquisite, and luxurious experience to apply it. 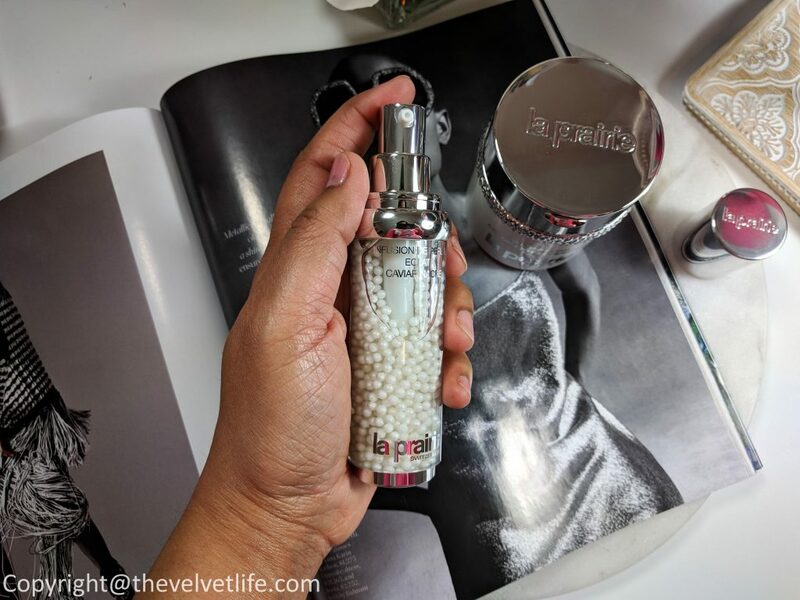 La Prairie White Caviar Illuminating Pearl Infusion is described as a brightening serum with an exclusive formula that targets dark spots, redness, and greyness which are known as the three chromatic light barriers to a luminous complexion. It helps to fade the appearance of dark spots, diminishes redness, and shields skin from pollution. “Redness, age spots that develop over time and the dull grey film caused by environmental factors are barriers to glowing skin deep within. Through their research, La Prairie scientists have discovered that skin’s uneven tone and loss of luminosity are due not only to melanin-induced spots but also to redness and dullness. La Prairie, therefore, developed a formula – the first of its kind – that works to fight not one but all three types of skin chromatic disorders. An exquisite pearly infusion encapsulates a concentrated formula containing golden caviar extract and a stable, oil-soluble form of vitamin C. Combined with innovative Diglucosyl Gallic Acid (DGA), this formula targets the three major types of skin chromatic disorders. The packaging as you see in the picture is so beautiful, the pearls look so amazing in it, and imagine how they would feel on the skin. This has become my go-to serum as I do have dark spots and I do need light, yes the light for luminous, bright, healthy skin. 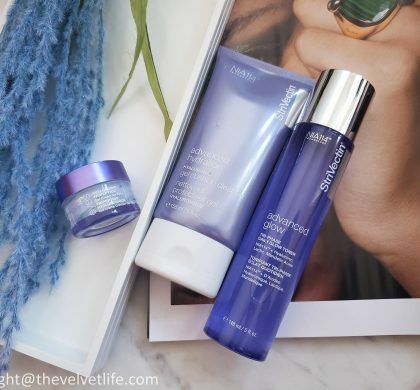 I do prefer to use the products from the same collection to get the most benefits and results. I use this serum prior to the White Caviar Creme Extraordinaire. I take one and a half pump of Illuminating Pearl Infusion and apply it on my cleansed skin avoiding the eye area. I follow with my eye cream and then the White Caviar Creme Extraordinaire. The Illuminating Pearl Infusion sinks into the skin nicely without taking any time and is perfect for even the 5-minute routine in the morning. I have noticed my skin is bright, healthy, looks luminous to see and soft to touch. 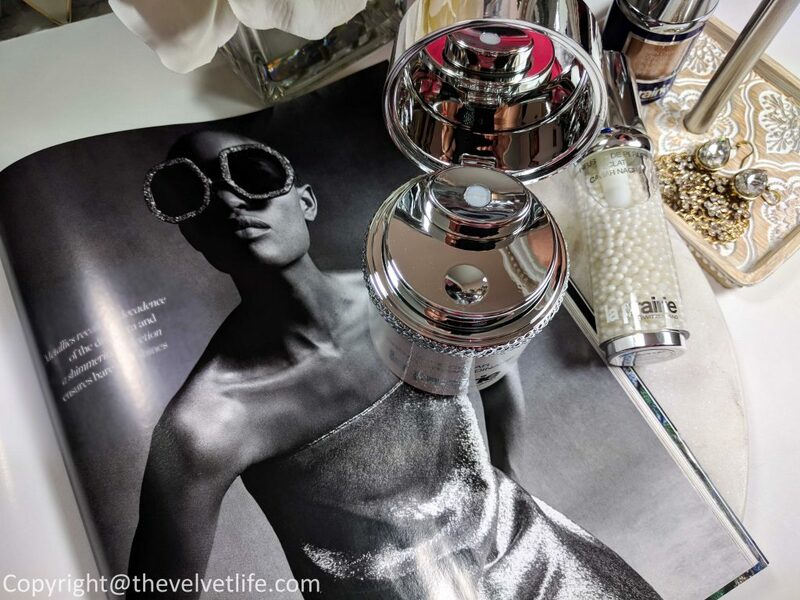 La Prairie White Caviar Creme Extraordinaire and La Prairie White Caviar Illuminating Pearl Infusion have become an exquisite, and luxurious part of my White Caviar Ritual. 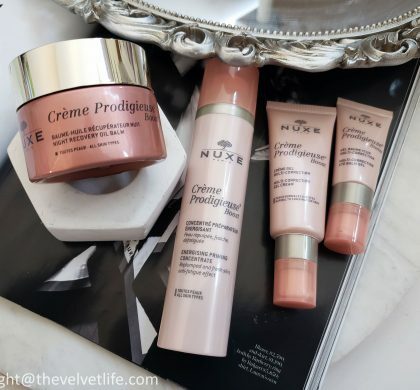 I would highly recommend you to check these out and get your skin started with the amazing benefits of the single most powerful brightening active called Lumidose along with the rare Golden Caviar, and more. 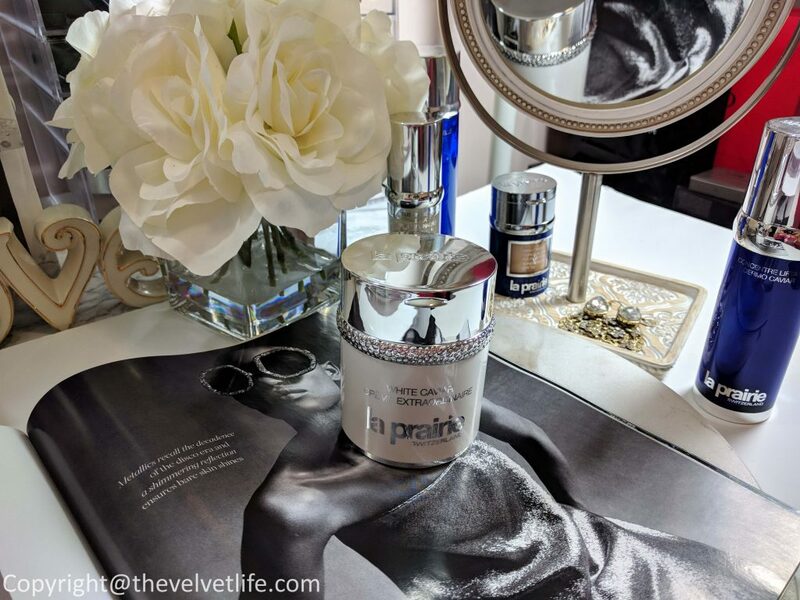 a Prairie White Caviar Creme Extraordinaire and La Prairie White Caviar Illuminating Pearl Infusion are available at La Prarie website, Saks fifth Avenue, Nordstrom, and Holt Renfrew in Canada.